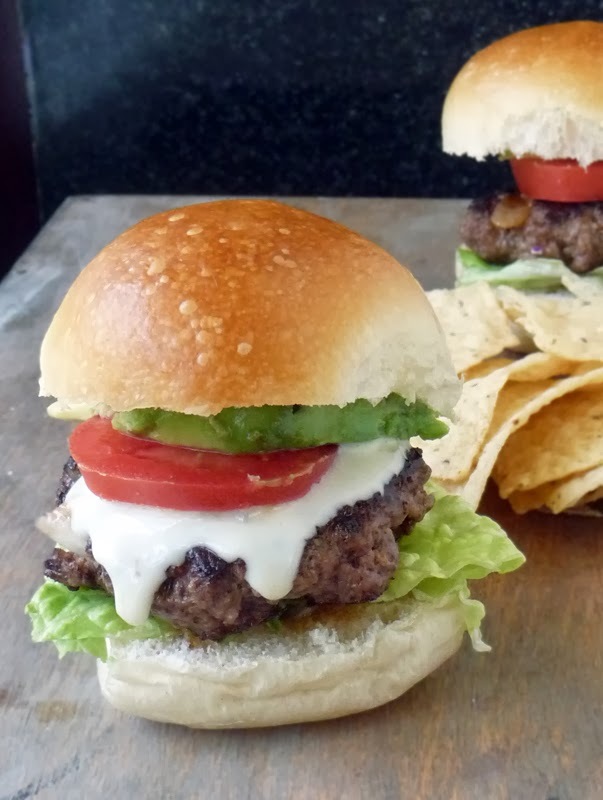 Taco Sliders - These little burgers made with taco seasoning are a nice change of pace. It takes 2 of my favorites, tacos and burgers, and mashes them together into one tasty little treat! Adding Queso Blanco takes them over-the-top!! So yummy! These Taco Sliders are super easy to make, inexpensive, and the kids will love them too! I usually like to make my own taco seasoning with the spices I have on hand, but I was feeling lazy when I made these and grabbed a packet at the grocery. I don't like an overwhelming taste of the seasoning, so I used just a 1/2 packet and it was plenty for our tastes, plus I can make them again with the leftover seasoning - BONUS! Feel free to add more or less to adjust the recipe to your liking. In a medium bowl, mix 1 tablespoon taco seasoning and ground chuck. Grate the onion into the meat mixture (grating the onion allows all of the wonderful juices to drip into the meat mixture). Mix it all up nicely and shape into 6-8 patties. You can cook these in a large skillet a few at a time on mid-high heat for about 2-3 minutes each side until cooked through. I like them that way to get a good sear on them. Remember not to fuss with them after putting them in the pan, so they get that sear. 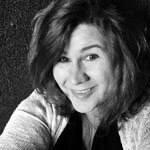 An easier way to make them is to line a baking sheet with heavy duty foil (double line with regular foil) and spray with cooking spray. Place patties on foil lined baking sheet and broil under high for 3-4 minutes each side or until desired doneness. Be sure to leave your oven door ajar when broiling. The foil makes clean-up a breeze! 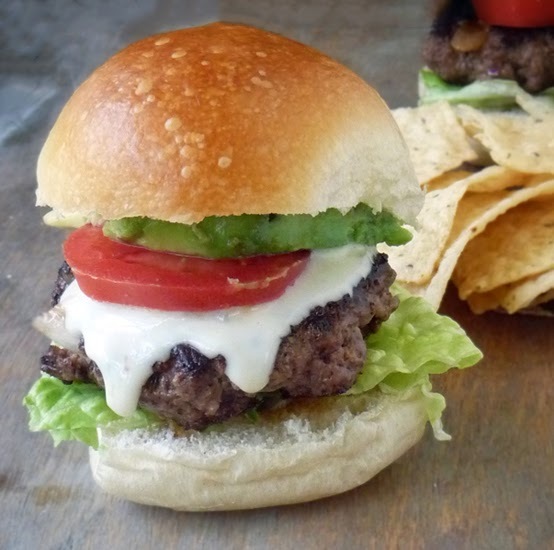 Place each burger on a bun and top with tomato, avocado, and Queso Blanco. Enjoy! 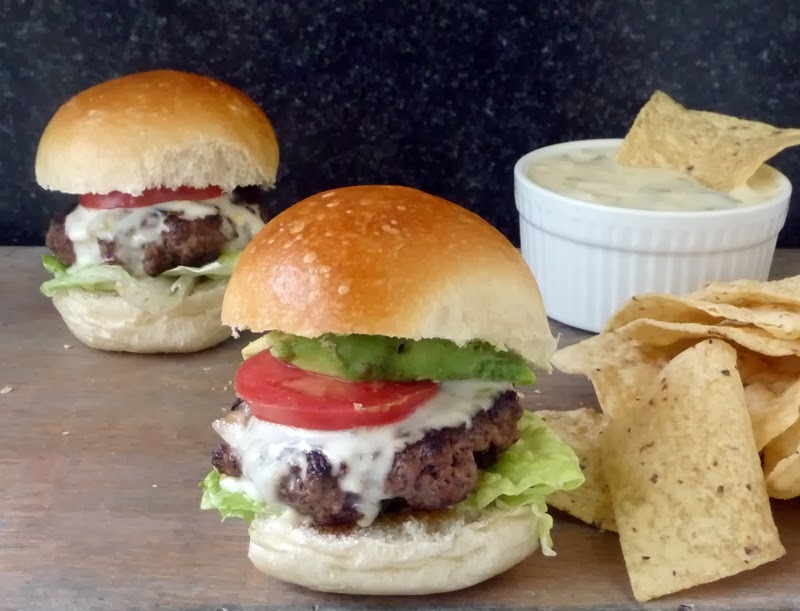 My boys love sliders and anything Mexican so these are a great combo for us!